If you feel like riding with the 150,000 other cyclists who commute on bike daily here is an interactive map of the 760 kilometers of bicycle paths in Stockholm. 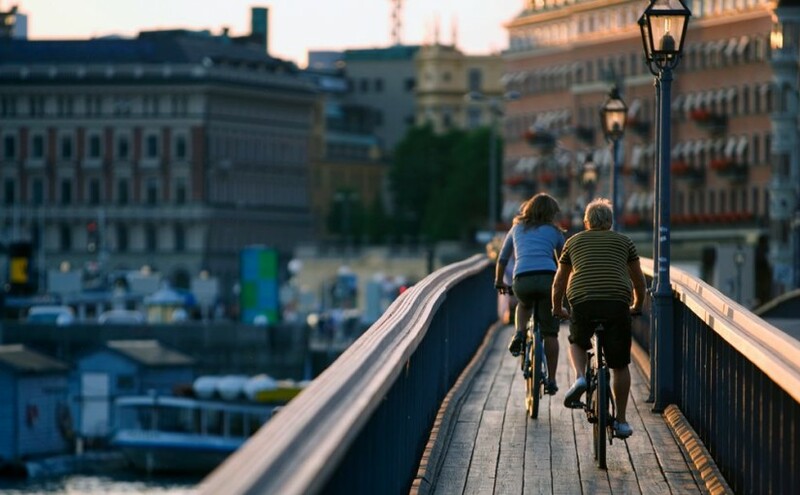 As of 2012 there are 760 kilometers of bike lanes in Stockholm but the city plans – for a billion Swedish kronor – to extend the network with 77 additional kilometers. 212 kilometers will be widened and some other parts will be improved (intersections, bridges and tunnels). – how many people live near this network: in other words what’s the cycling routes per capita.